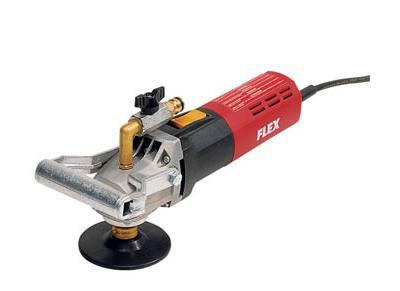 This is a starter kit designed for polishing concrete or concrete worktops to a high shine. We're asked for this combination of product so often it made sense to put together a ready made kit to save you trawling through the site picking the individual components. All these products are designed to be used wet, the water acts as a coolant to stop the discs overheating (and burning out) and also helps remove the waste product as it’s cut from the top of the concrete. The ideal working speed for the discs is circa 2000 – 4000rpm. If you need a polishing machine or need advice about polishing machines feel free to call on the number at the top of the page. 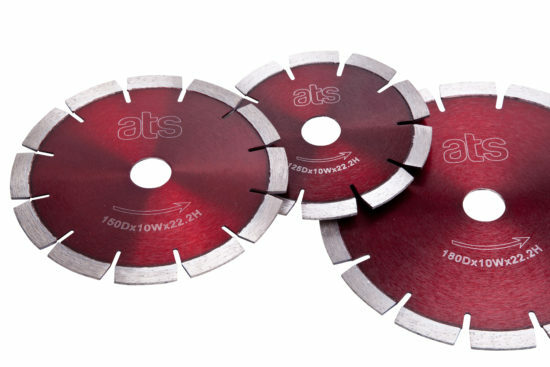 Laser welded segmented diamond cutting blade. Our own product designed for cutting hard dense stone such as granite, harder marbles, engineered stone and reinforced concrete. The industry standard wet polisher for stone. There's a reason this is the most in demand hand held machine when it comes to wet polishing machines. Foam backed diamond hand polishing pads. Ideal for final finishing of all natural stone. Also good for taking the sharp edges off glass, ceramic and porcelain. 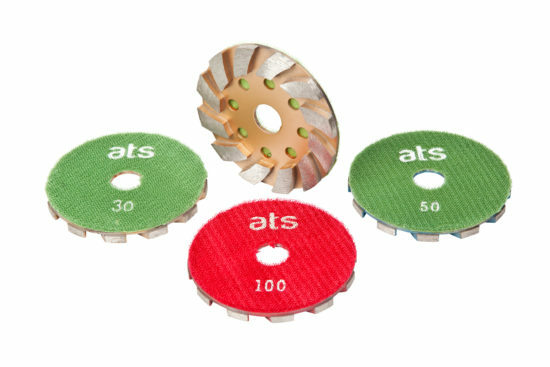 The 50# through 400# pads are electroplated diamond The 800# through 3000# are resin bonded diamond. The set of 7 comprises one pad of each grit. Velcro backed metal bonded grinding discs at an economic price. Designed for granite, marble, limestone and other natural stones. 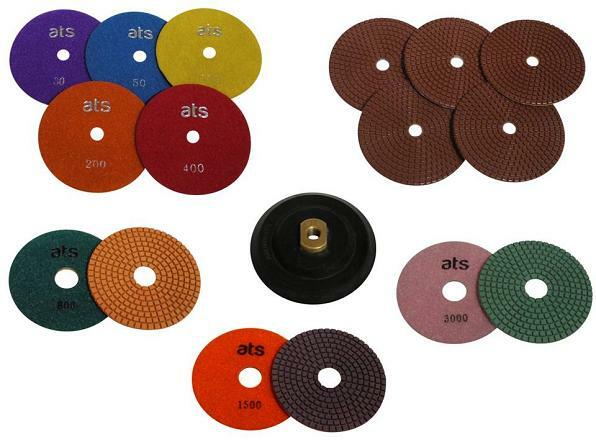 Available in #30, #50 & #100 These will work on concrete and other abrasive materials but with a shortened lifespan. The set of 3 is one disc of each grit.